Reggie Young is a Grammy award winning Bassist. 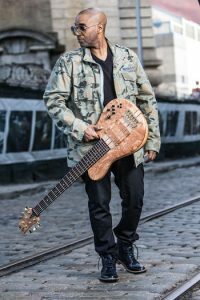 He’s played with many greats including Lenny Kravitz, Alicia Keys, Paul Shaffer, Stevie Wonder, and others. Reggie has a new CD out called Young Street. Baruch and Reggie discuss music, inspiration, Reggie tells some stories, and we’ll hear music from the new CD. Reggie is interesting, thoughtful, and dedicated to his craft. You’ll love both Reggie and his music!